Having been the concertmaster of 5 different regional orchestras over the years, I can offer a very broad repertoire of solo and ensemble choices. I have recently acquired a high quality sound system and have done many gigs solo with orchestral accompaniment. This offers minimum cost and an almost unlimited repertoire of different kinds of music for weddings, banquets, or other events. I am also an arranger / composer and can produce almost any kind of music if needed. Let me put my experience of thousands of weddings for over 30 years at your service! Looking forward to working with you. Ralph was professional, easy to work with and self-sufficient. 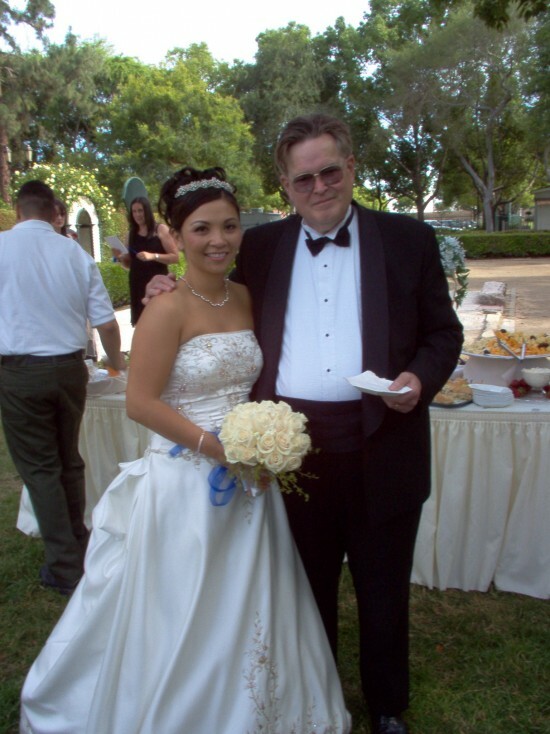 Our wedding was outdoors and with his sound system it was easy to hear from anywhere on the lawn and outdoor porch. We requested certain classical music to be played during the ceremony and it was played to perfection. He also played during our cocktail hour and the music was perfect. We would highly recommend Ralph for any wedding or event! :) Thank you again Ralph! Thank you, Jessica! Your Wedding was beautiful and elegant! Ralph was very talented and professional. He showed up on time and was very self-sufficient. I had asked him for specific music during the ceremony and it was executed to perfection! He played a major role in setting the entire mood for the ceremony and we couldn’t have been more pleased with Ralph! His pricing was also incredibly affordable as he not only plays the violin, but he also has his own sound system to make it sound like he’s not solo. We would highly recommend Ralph for your next special event! Thank you! it was a delight to play at your wedding! 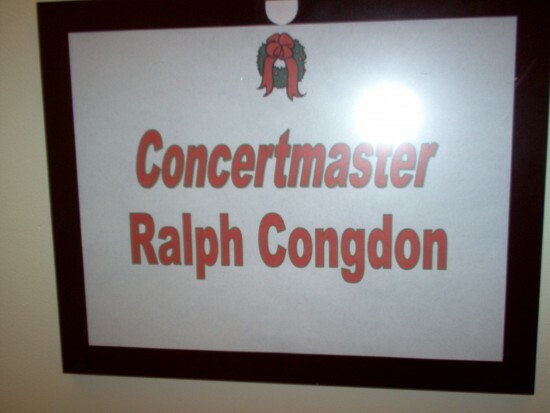 Ralph congdon, blue ridge classical sounds. Ralph played for our daughters wedding and the experience was beautiful. Ralph brought an amazing level of elegance to the ceremony and cocktail hour. Ralph's passion for his work and commitment to excellence was evident from the very first time we meet. Ralph was a blessing to us all!!! Thank you! Your wedding was such a pleasure to do. Ralph was the most charming and professional musician I could have ever imagined at our wedding. He did an amazing job. Our wedding was beautiful and having Ralph as our violinist was the perfect touch to our most special day. We loved every minute he played. I hired Ralph Congdon to be the violinist at my wedding on April 2nd, 2016...it was a wonderful experience! All the guests at the wedding were impressed with his professionalism and talent. I highly recommend him for any event! Ralph was so easy to work with. His repertoire covered everything we could have possibly wanted. 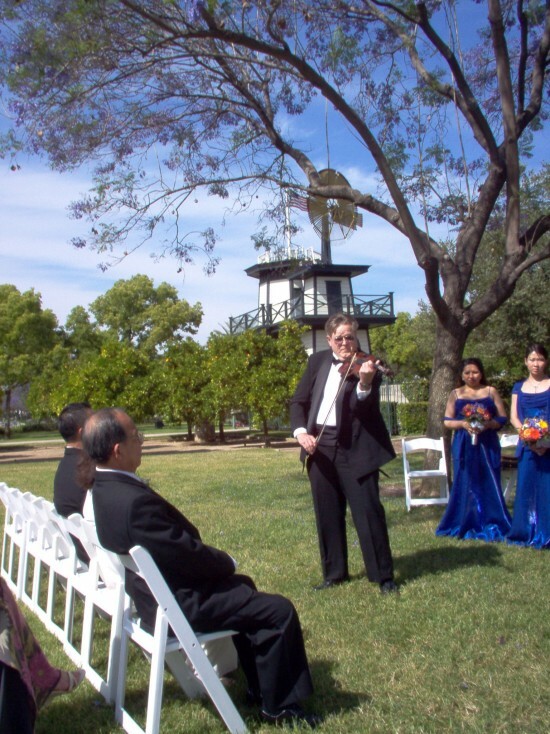 His experience at playing for weddings really showed - he knew how to provide the ambiance for an outdoor wedding before the ceremony. The bride chose contemporary music for the processionals & Ralph segued from one to the other perfectly - which is what you would expect from a professional musician! And that's what Ralph gives you - a professional performance. Thank you, Ralph! Thanks so much! You were wonderful to play for! An audience member can expect to hear a professional sounding violinist with a symphonic backup or with the backup of a popular band or group. If you hire a quartet or trio, you can expect a high quality sound. I was a violin student of Raphael Bronstein at the Manhattan School of Music. I played in the New Orleans Philharmonic for two years and since then have been the concertmaster of the Hendersonville (NC) symphony, the Asheville (NC) symphony, the Brevard Chamber Orchestra, the Brevard Philharmonic Orchestra and various festival orchestras. I have done literally thousands of weddings and special events and know the repertoire and procedures well. I can either play solo with a backup sound system (optional at no extra cost) or get together an ensemble of the best available musicians in this area of the country. An event planner can expect a minimum of difficulties. I hire only the very best musicians who absolutely know what they are doing. We show up on time, do exactly what is expected at a very high level of professionalism. If you hire me, I will consult (face to face if possible) with the decision maker(s) concerning the music and provide a virtually selection of any kind of classical or pop music that is suitable for a violin or string ensemble. I can also hire a harpist, flute player, trumpet player or whatever else may be required. With us, music will be one thing you will not have to worry about. We require a minimum of setup. My sound system is battery operated with a 12 hour battery life. We can set up anywhere with or without power. We do require shelter for our instruments, and will not play in direct sunlight or in rain. We carry stand lights. We require enough space for our ensemble and chairs, that's all. We have access to a huge assortment of music, and will play anything that is suitable to be played by strings. That excludes hard rock and music that is mostly percussion with very little else. String quartets and trios, as well as popular orchestras like 101 strings.